Director-General Lou Sanson shares some recent stories from his work over the last couple of months. 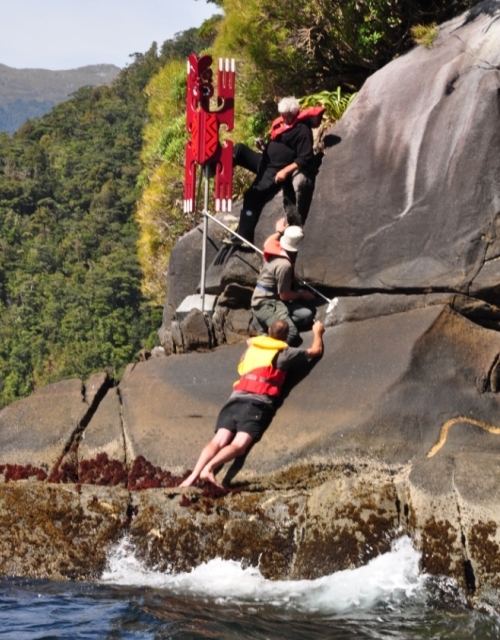 For the Fiordland Marine Guardians, the unveiling of newly erected poupou marine reserve markers in Charles Sound/Taiporoporo represented an important milestone and was the rewarding culmination of several years’ collaborative planning. 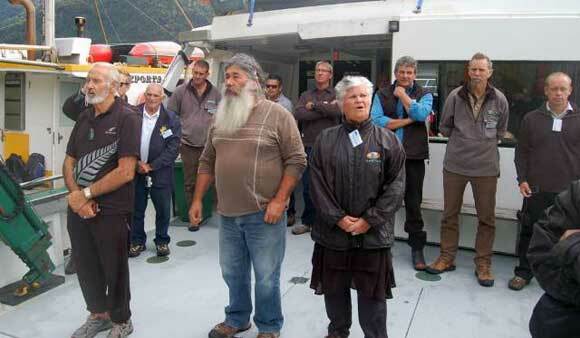 In his address during the unveiling ceremony, Guardians Chairperson Malcolm Lawson, acknowledged the significant effort put forward by the collaboration of the Fiordland Marine Guardians, DOC and local iwi from the Ōraka-Aparima Rūnaka (the mandated Iwi Kaitiaki) on behalf of the wider Te Rūnanga o Ngāi Tahu. 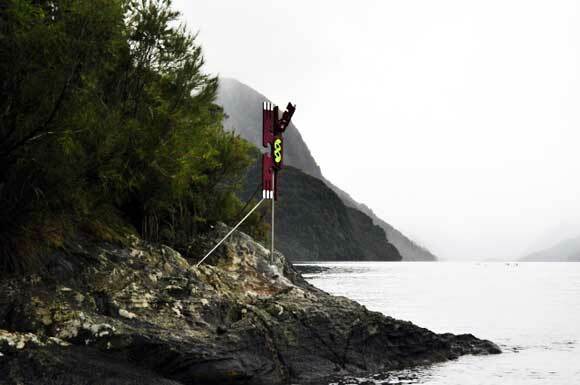 While marine reserves are traditionally marked with white triangles, the poupou project derived from a mutual desire to put in place marine reserve markers more in keeping with the natural and cultural heritage of the fiords. 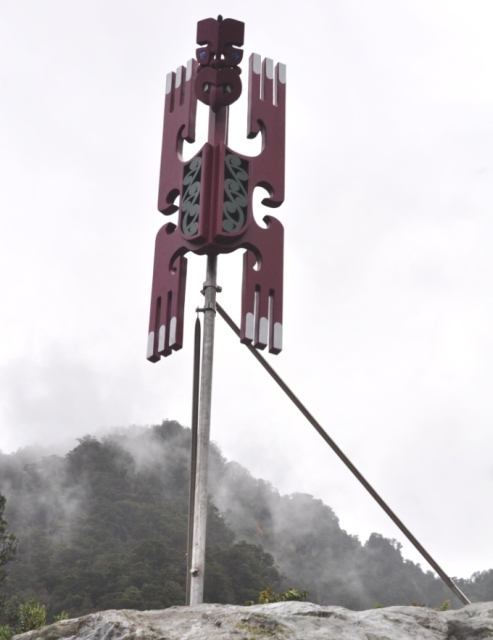 For Ngāi Tahu, the poupou symbolise enduring kaitiakitanga (guardianship) of Te Moana o Atawhenua (Fiordland). The project—led by Stewart Bull, the Ngāi Tahu representative on the Guardians, and project managed by DOC Senior Ranger Richard Kinsey—commissioned Bubba Thompson, a skilled local carver from the Awarua Rūnanga, to design and carve the poupou. Each has the same basic shape, but with varying design differences in the face and body. Designed to be both attractive and functional, they will be named after various ancestors from Kai Tahu Whānui history. 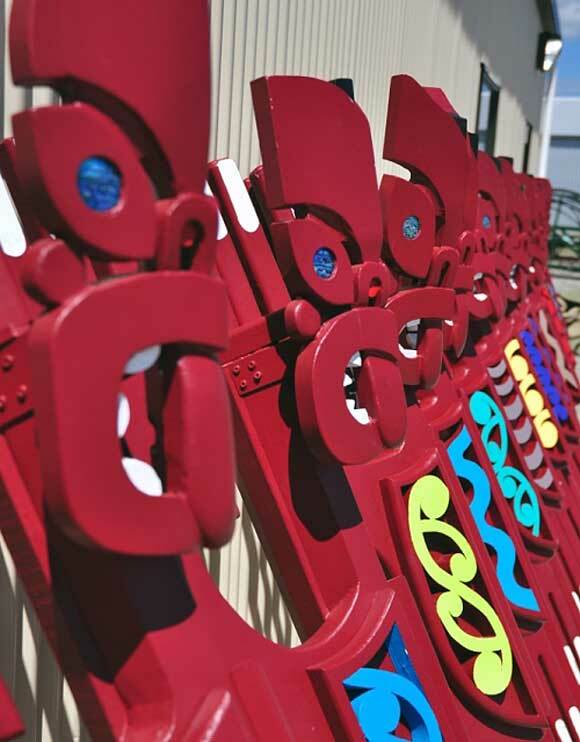 Production and installation of the poupou was jointed funded by Te Rūnanga o Ngāi Tahu and DOC. So far, ten poupou have been installed, in sometimes challenging wind and sea conditions. Still to be installed are the markers for Te Hapua Marine Reserve in Sutherland Sound and Te Tapuwae o Hua (Long Sound) Marine Reserve. DOC and the Fiordland Marine Guardians are yet to decide if the markers for the older reserves in Milford and Doubtful Sounds will be changed. With the new poupou now in place, marking not only the marine reserves but an important part of New Zealand’s cultural heritage, all of the DOC staff involved are celebrating it as a significant achievement and are looking forward to installing the last few poupou in the remaining reserves. Today’s photo of the week was taken over the weekend at the opening of new facilities on the Copland Track and at Lake Matheson in South Westland. 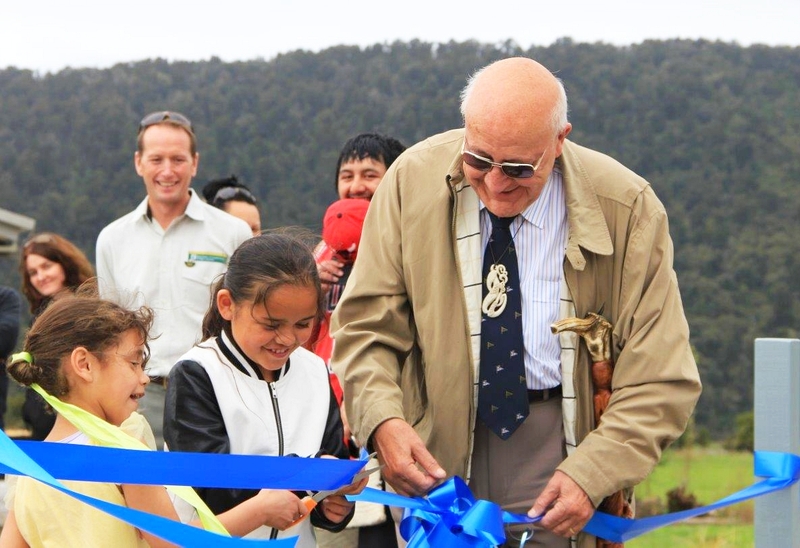 Local children joined with Ngāi Tahu kaumātua Sir Tipene O’Regan at the opening of upgraded facilities at Lake Matheson and the installation of brand new interpretation panels at the start of the Copland Track telling the story of Hinetamatea, a Ngāi Tahu ancestress, who discovered the Copland Pass/Noti Hinetamatea. The day also marked the opening of a $230,000 upgrade to Welcome Flat Hut which includes a spacious new lounge and dining area, new fireplace and four new bunkrooms. The hut is a fantastic place to stay on the popular Copland Track with about 4500 people staying there each year. This photo was taken by DOC’s Katrina Henderson. Conservation Champions on the big screen! As part of the Conservation Awards this year, DOC Otago decided to celebrate two major milestones. One – the Department of Conservation turns 25 years old. Two – the amazing contribution the public has made (and is making) to conservation. Ever since I was a little girl, DOC has been like a hero to me. The rangers did amazing things like save wildlife from the brink of extinction, controlled nasty predators, worked as archaeologists. I had a secret dream that one day I too would work for DOC. But wildlife filmmaking and science writing was always my number one passion. The first film celebrates the fact that DOC turns 25 years old this year. One of the things that really impressed me was just how many of the original rangers (i.e. from the establishment in 1987) are still around. They’ve dedicated their lives to conservation, and I think that’s pretty inspirational. The other thing that struck me was how much of what we take for granted these days, has been the result of DOC’s hard work. For example, popular attractions like the Otago Central Rail Trail, which brings in an estimated $12 million to the province’s communities each year, was actually strongly opposed when its formation was first suggested! We now have conservation parks dedicated to tussock grasslands (as opposed to just forests). Several new species of rare galaxiids (a type of freshwater fish, which includes whitebait) in Otago were discovered as recently as the 1990s. The list goes on. The second film recognises the fact that it hasn’t just been DOC that has contributed to all of these amazing achievements. In fact, many of them wouldn’t have been possible without the help and dedication of a whole range of people, including passionate individuals and volunteers, community groups, trusts, iwi, local authorities, landowners, and businesses. Each contribute in their own unique way – from fencing off their creek banks to help protect spawning sites for giant kokopu (one of those freshwater galaxiids I mentioned), to building and maintaining predator-proof sanctuaries, to providing sponsorship for long-term protection of precious wildlife such as the jewelled gecko and the takahe. 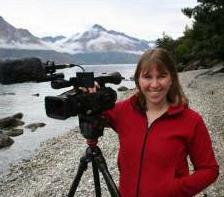 Producing the second film gave me a lot of hope for New Zealand’s future There are so many people out there who are passionate about conservation in New Zealand, and we can all make a difference. In fact, I was so inspired that I made my child-hood dream a reality. I now work for DOC Otago as Community Outreach Coordinator – a brand new position aimed at helping more communities take part in conservation and enjoy all the things that make New Zealand the beautiful place it is. A ground-breaking new youth leadership programme is bringing our national icon – the kiwi – up close and personal to 19 senior South Island secondary school students.